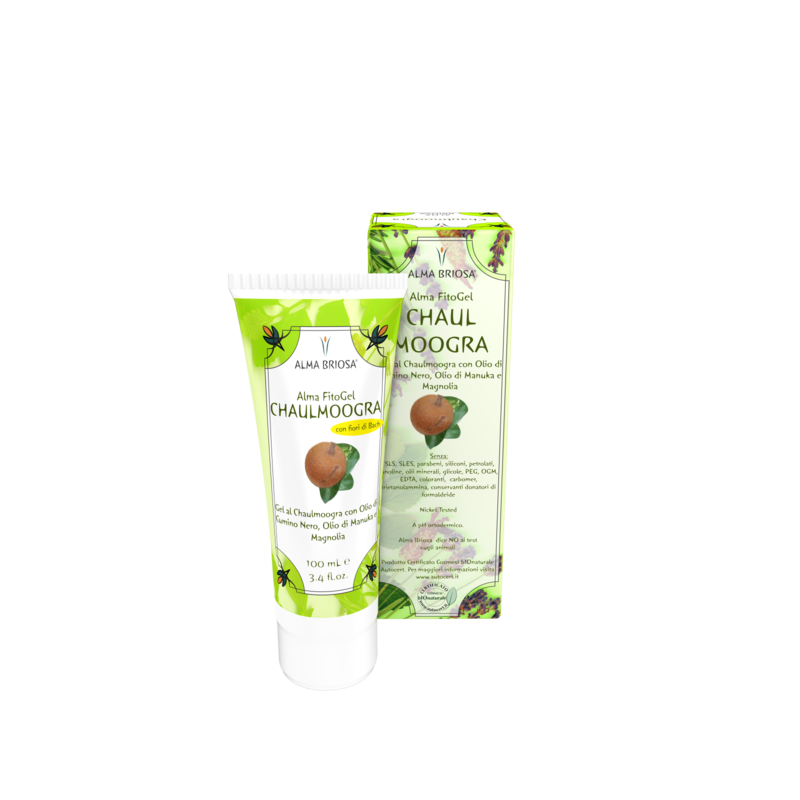 The Chaulmoogra oil (a.k.a. Taraktogenos kurzii or Hydnocarpus kurzii oil) has been used for thousands of years in Ayurveda tradition to treat every skin problem. It has been also used to restore the physiological state of skin tissues subsequently to a number of serious alterations of the epidermis. Black Cumin oil, according to several studies, inhibits the oxidation of cellular membranes thanks to anti-free radical action. Manuka oil has excellent anti-bacterial action. The bark of Magnolia reduces permanent effects of skin damage. The ointment contains a floritherapic mixture, prepared with Dr. Bach’s methodology. It serves to alleviate emotional and psychosomatic uneasiness. The action of herbal extracts mixed with Dr. Bach’s remedies resolves both physical and emotional imbalances. Floritherapic mixture used: Hornbeam, Olive, Centaury, Walnut, Clematis, Agrimony. 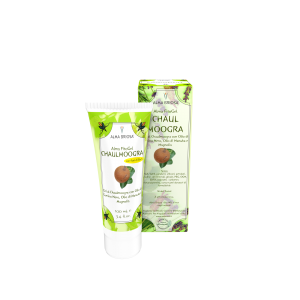 Use: apply a generous layer of Chaulmoogra ointment twice a day on clean skin and massage gently until completely absorbed. INCI	 INGREDIENTI/INGREDIENTS: Aqua**, Aloe barbadensis leaf juice*/**, Xanthan gum**, Taraktogenos kurzii seed oil**, Eucalyptus globulus leaf oil**, Capryloyl glycine**, Leptospermum scoparium branch/leaf oil**, Nigella sativa seed oil**, Palm glycerides**, Potassium lauroyl wheat amino acids**, Magnolia grandiflora bark extract**, Carpinus Betulus (Hornbeam) Flower Extract**, Olea Europaea (Olive) Flower Extract**, Centaurium Erythraea (Centaury) Flower Extract**, Juglans Regia (Walnut) Flower Extract**, Clematis Vitalba (Clematis) Flower Extract**, Agrimonia Eupatoria (Agrimony) Flower Extract**, Ethylhexylglycerin**, Benzyl alcohol.